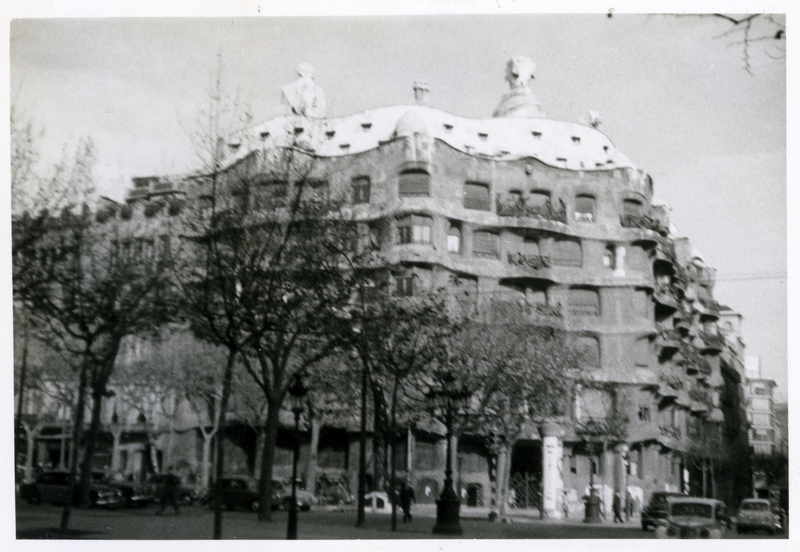 These hitherto unpublished photographs of La Pedrera have been brought to our notice by the Municipal Archive of the District of Gràcia, which has holdings and collections from institutions, associations and private collections relating to the district’s documentary heritage. The two pictures by amateur photographers are largely documentary in nature. One of them was taken by the historian and archivist Josep Maria Madurell i Marimon (Barcelona, 1893-1983), who published a large body of research, much of it on the history of culture, publishing and books. Madurell was an archivist at both the Maritime Museum and the General Archive of Protocols of Barcelona, and he took part in the broadcasts of the Municipal Institute of History of Radio Barcelona. His photograph (dated 1915) shows the long-disappeared shutters of the building’s ground floor. 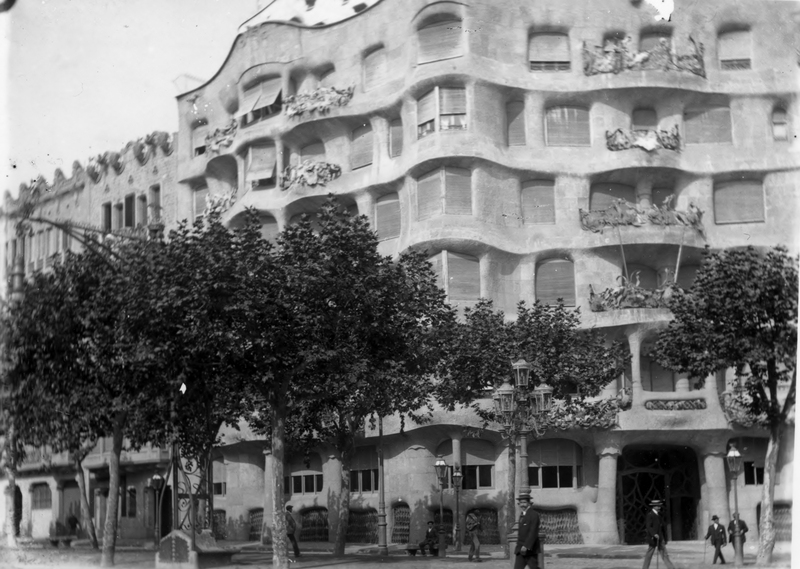 Pictures of La Pedrera from this time are rare, and most of them are already known. The second photograph (dated December 25, 1959) is by Miquel Brasó i Vaqués (Barcelona, 1904-1974), an archaeologist, draughtsman and historian. Self-taught, Brasó undertook a good many studies on the architecture, town planning and toponyms of Gràcia as well as carrying out important awareness-raising work for the district. The two pictures come from the collection of the Gràcia Excursionist Association – of which both historians were members – that contains 347 of Miquel Brasó’s photographs, documenting traditional festivals, culture, town planning and everyday life, and 26 images on urban subjects and religious festivals by Josep Maria Madurell i Marimón. Curiously, La Pedrera is built on the exact spot marking the boundary between the city of Barcelona and the town of Gràcia, which was annexed by the city in 1897.